Orthotics are advanced support systems designed to help with various mechanical foot conditions. They are usually custom-made, meaning the client's foot is assessed and the shape of their unique foot is cast. They work by providing support to areas of the foot that are lacking in order to promote the proper mechanical operation of the foot. A lack of which, may result in bunion formation, neuroma formation, arch collapse, and other potential conditions that may lead to pain. Pain in the foot and even in the low back could be attributed to the mechanical function of the foot. Orthotics are generally made of a polyurethane material that allows it to retain its shape while providing a mild degree of flexibility for comfort. Orthotics can be made to fit certain types of shoes, such as running shoes for people involved with sports, dress shoes, and casual shoes for day to day wear. Do I really need Orthotics? Not everyone needs to have orthotics. It is the role of a chiropractor, chiropodist, or podiatrist to assess the individuals need for an orthotic. 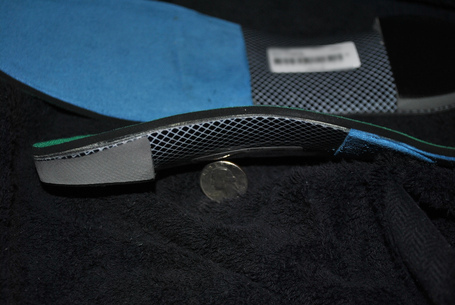 For some, a proper sole insert will provide sufficient support. Consult your foot specialist today to find out what is best for you.